Nutrition For your Body (NFB) is an Irish site for nutritional information and supplements. Nutrition is how food affects the health of the body, helping it function and stay healthy. Food is comprised of macronutrients including protein, carbohydrate and fat that not only offer calories to fuel the body and give it energy but play specific roles in maintaining health. Food also supplies micronutrients (vitamins and minerals) and phytochemicals that don't provide calories but serve a variety of critical functions to ensure the body operates optimally. Until fairly recently public health messages about food focused on single nutrients, telling us to reduce fat; limit cholesterol; increase fibre; consume more calcium; take vitamins E, C, and D and more. Whilst there is no one single healthy diet, what healthy diets have in common are lots of fruits, vegetables, and whole grains, along with healthy sources of protein and fats. Found meats, fish and seafood, eggs, soybeans and other legumes these foods provide the body with amino acids, the building blocks of proteins which are needed for growth, development, and repair and maintenance of body tissues. Protein provides structure to muscle and bone, repairs tissues when damaged and helps immune cells fight inflammation and infection. Carbohydrates provide energy and fuel for the body. Foods such as rice, tortilla, potatoes and other root vegetables, bread and fruit deliver sugars or starches that provide carbohydrates for energy. Fuel is needed for daily activities and for growth, especially important for children and pregnant women. Fats in oils, nuts, milk, cheese, meat and fish provide structure to cells and cushions membranes to help prevent damage. Also essential for absorbing fat-soluble vitamins including vitamin A, a nutrient important for healthy eyes and lungs. Vitamins and minerals help support overall health and play important roles in cell metabolism and neurological functions. They help in producing energy, healing wounds, forming bones, for immunity and eye and skin health. Vitamin C helps wounds heal and the body’s ability to fight off germs. As a sportsperson, taking a sports nutrition supplement should not distract you from eating a varied and nutritious diet for peak performance. Sports nutrition supplements are defined as products that are promoted as giving an athlete a competitive edge. Generally, the supplements contain vitamins, minerals, amino acids, herbs, and other substances. In Ireland, the Food Safety Authority of Ireland follow European Union legislation about what is acceptable or not. When in competition, gaining a competitive edge is what most are looking for. A supplement it is often promoted as offering that advantage. For competitors subject to sport drug testing, taking a nutritional supplement can come up positive in a test for prohibited substance listed with the sports governing body. This substance may not be disclosed on the product label. As part of the governing body rules, a positive test result will make an athlete ineligible for competition, with the potential for further sanctions. While some mainstream supplements are made by responsible manufacturers, a growing number of supplement products contain dangerous and undisclosed ingredients, including steroids, stimulants, and other prescription, banned, or completely untested drugs that you won't find listed on the label. With the globalisation of drug manufacturing and the ease selling online from anywhere in the world, there is room for unscrupulous companies to take advantage of many consumers’ desires for maximized sport performance, advertising them as healthy and safe products when they’re not. The World Anti-Doping Agency (WADA) is a foundation initiated by the International Olympic Committee based in Canada to promote, coordinate and monitor the fight against drugs in sports. WADA is responsible for the World Anti-Doping Code, a document aimed at harmonising anti-doping regulations in all sports across all countries. They publish an annual list of prohibited substances and methods that athletes are not allowed to take or use. It was first implemented just before the Olympic Games in Athens in 2004. Sanctions for a first offence of intentional doping were doubled in 2013, with more lenient sanctions for inadvertent rule violations. WADA has the authority to cancel a win if tests drug tests find banned substances. WADA barred the Russian Olympic Committee from competing at the 2018 Winter Olympics in PyeongChang due to concerns over doping. 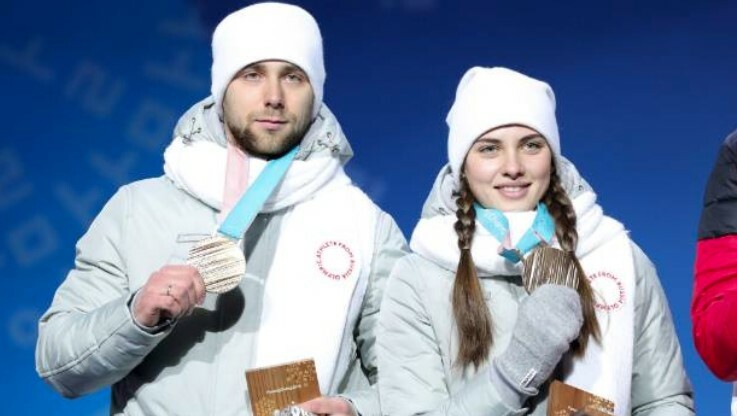 However, some Russian athletes deemed to be clean were allowed to compete under the Olympic flag, including the husband-and-wife team of Alexander Krushelnitsky and Anastasia Bryzgalova who were officially stripped of their Bronze medal in the mixed doubles curling event after Krushelnitsky tested positive for Meldonium, which he suspects was in a spiked drink. Good nutrition is one of the foundation stones of a healthy life. A balanced diet is one of foods that contain vitamins and minerals, including fruits, vegetables, whole grains, dairy, and protein. Improving eating habits can improve your health and sleep, particularly if you have a health problem or risk factor such as high blood pressure or high cholesterol. If there is a family history of diabetes, cancer, heart disease, or osteoporosis a healthy diet can reduce the risks of the condition developing, or in the case of diabetes, can be controlled by diet so that it does not get worse. Being overweight is also a risk factor for poor health, so finding out what you should eat to help you lose weight will not only have you feeling physically better, but mentally better too. Symptoms from conditions such as kidney disease, lactose intolerance, and celiac disease can all benefit from changes in diet. Seeing a dietician or a nutrition counsellor is helpful for many who find it difficult to change eating habits. Focus first on small changes. If you are eating 5 fruit and vegetables on a daily basis you are already on the right path. If you eat high-fibre foods and whole grain continue to do so. If not, add mores of these foods to your daily meals. Keep a food and beverage diary so that you can see what you need to eat more of or less of from the main food groups. You may be able to cut back on fats just by changing the way you cook meat, by changing frying to either baking or grilling the meat. Use low-fat or non-fat versions of butter, cream and salad dressings. Swap sugary drinks like fruit juice, sports and energy drinks for water or tea. Aim to lose just 1-2 pounds a week and keep away from fad diets that promise much but deliver little over the longer term. Learning to eat a healthy diet will keep you fit and well long after any diet that restricts one or more food group. Healthy eating is also something you can share with family, friends and colleagues. If you feel the need to take supplements, talk with search out the best advice and recommendations for safe nutritional supplements. Now more than ever, athletes need accurate sports nutrition information. Complete Food & Nutrition Guide by the U.S. Anti-Doping Agency.